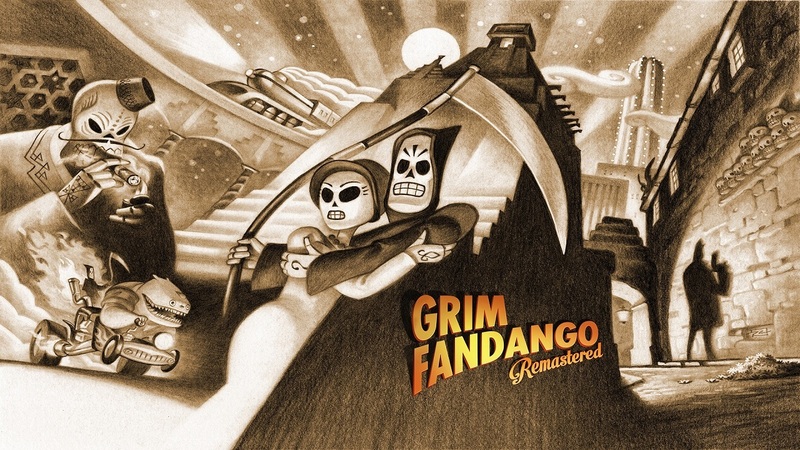 Thanks to a recent Humble Bundle, I was about to get Grim Fandango Remastered for $3, which was a steal, but just how Remastered is the game over the original? Honestly it doesn’t seem like they put a lot of work in to this new port. It has some higher res textures, a new lighting engine, it is able to run on modern computers, and that is about it. Luckily the game is still awesome, so it is still worth the price of admission. If you have never played Grim Fandango before, you take the role of Manny Calavera a Grim Reaper/Travel Agent in charge of getting people to their proper places in the underworld. Though things are not what they seem and someone is rigging the game, so you will have to help Manny figure out what is going on. Mostly by sticking random stuff in random places. With recent adventure game remasters like the Monkey Island games there have been major graphical improvements. That is not the case with Grim Fandango. While everything has been given a spit and polish it mostly looks like how I remember it from its original release in 1998. The big exception is the new lighting engine: Shadows are cast realistically, and light sources have a more natural look. Also thanks to the PS3/PS4 port, the game now works well with a game pad. Though since I didn’t try it with a game pad in 1998 maybe it already did. Honestly the biggest additions to Grim Fandango are just the fact it works on modern computers without any finagling and the developer commentary. Listening to Tim and crew talk about creating one of the greatest adventure games of all time is a lot of fun and very interesting. They should just release a documentary about that. I would watch it, that is for sure. I have been kind of hard on Grim Fandango Remastered, but that really shouldn’t deter you. It is still a wonderful game, and possibly the best classic style adventure game ever created, so now that you can get it cheap and it will work on your computer or PlayStation you should totally buy it. Though just don’t expect anything be crazy different. Previous PostPrevious So Long Lionhead Studios! You Will Be Missed!